Audio training by attorney Bill Bronchick, one of the advisors to MrLandlord.com and featured instructor at our upcoming LandlordRetreat.com. 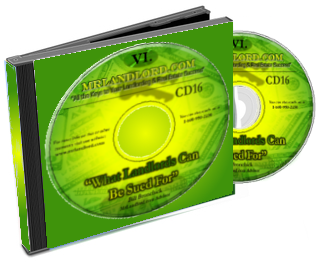 In this featured audio CD, attorney Bronchick discusses several management examples of how landlords are sued. In addition, he shares fundamental asset protection principles that can give landlords an understanding of how to reduce or limit your risks and liabilities. William Bronchick is a nationally-known attorney, author, entrepreneur,and public speaker. He has been practicing law and investing in Real Estate since the early 90�s, having been involved thousands of Real Estate transactions. He has trained countless people all over the country to become financially successful and how to protect those assets, speaking to audiences of as many as 16,000 at mega-events, sharing the stage with names like Rudy Guliani, Steve Forbes, and Colin Powell. His best-selling book, �Flipping Properties�, was named one of the ten best Real Estate books of the year by the Chicago Tribune. William Bronchick is also the author of the highly acclaimed books, �Financing Secrets of a Millionaire Real Estate Investor, � �Wealth Protection Secrets of a Millionaire Real Estate Investor,� �Defensive Real Estate Investing�. William Bronchick is the co-founder and past President of the Colorado Association of Real Estate Investors and the Executive Director of the College of American Real Estate Investors. He is admitted to practice law before the bars of New York and Colorado and is a member of the Colorado and American Bar Associations. He is also a licensed real estate broker in Colorado. Be sure to order this eye-opening audio CD now for HALF the regular price of $39 (now only $19.50). And better understand some of the risk and liabilities as a landlord so that you can better protect yourself.